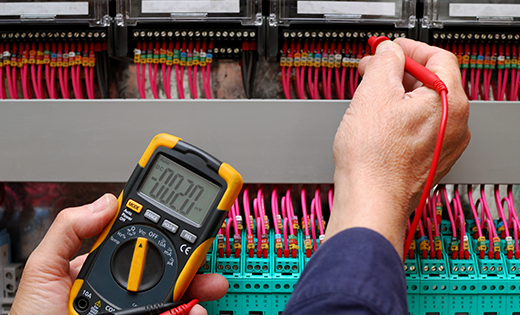 Regular electrical testing and inspection is a necessary part of any safety program to help ensure the safety of all people using or coming into contact with electrical equipment. The Electrical Safety Act 2002 sets out the relevant Electrical Standards that every business must abide by. It specifies safety inspection and testing protocols and criteria that satisfy these obligations. The Act outlines an efficient approach to electrical safety without jeopardising personnel safety or involving excessive equipment downtime. If you own or manage any type of commercial or residential premises on the Sunshine Coast, Laguna Electrical Services can help you meet your legal obligations in a cost effective and hassle-free way. Our team provides an inspection and testing regime that professionally undertakes the tasks prescribed by law. You can trust that all tests will be carried out in accordance with your legal requirements and in a timely, cost effective manner. The frequency of testing required is determined by the equipment type and by examination of the environment in which the equipment is used. Electrical Standards are based on the perception of the level of hazard and the degree of abuse to which the equipment is typically exposed. Equipment is subject to regular inspection and testing in order to detect obvious damage, wear and other conditions that might render it unsafe. 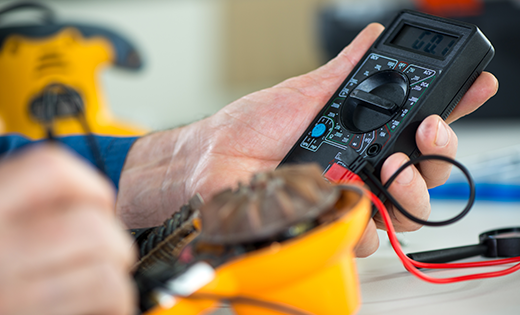 The Standard imposes legal obligation on the ‘Responsible Person” for the visual inspection and testing of all electrical equipment by a person who is trained and authorised to provide these services. A “Responsible Person” is defined by the Standards as either (a) the owner of the equipment or (b) the owner of the premises or (c) a person who has legal responsibility for the safety of electrical equipment. Australian Standard AS2293.2 governs the periodic inspection and maintenance procedures that are necessary to ensure emergency evacuation lighting systems will be in a state of readiness for operation at all times. All maintenance records must be in the form of hard copy record tags or log books. Electronic copies may also be used. All emergency luminaires and exit signs shall be checked to ensure that they function satisfactorily. Any defective lamps shall be replaced and a match of lamp technology and lamp colour must be used. A battery life test must be performed to ensure that the battery life exceeds the minimum operating time of 90 minutes. Those units that fail the battery discharge test must be either repaired and restored to normal condition or replaced. As per the six monthly tests as well as inspect fittings and clean reflective surfaces as necessary. Whilst there are no specific requirements in the Act or Standards for the inspection and testing of main switchboards and sub-boards, the general principle of employers and managers being responsible for the safety of all stakeholders still applies. Laguna Electrical Services recommends that main switchboards and sub-boards undergo a visual inspection on an annual basis and a thermal scan of both every two years. We will supply this service free of charge to all our customers who have service/maintenance agreements with us.